I was going to make my first post an introduction about myself but couldn't resist the urge to write about this new release from Amazon. As I was laying in bed last night, I got an email on my phone from Kindle Direct Publishing announcing their new product and I was rightly excited about it. Children's publishing is a widely growing and largely untapped market for ebooks. I released a few ebooks for older kids/early tweens about two years ago under a pseudonym that made me pretty good money and I'm always interested to see where the market for kids goes in the ebook world. With my little cousins able to navigate my smart phone better than I can (and downloading Angry Birds when I'm not looking... ahem...) and the fact that a fellow writer's five year old son produced a bestselling picture book a few weeks back that knocked Dr. Seuss off his pedestal for a few days, it's no wonder Amazon is upping their game when it comes to publishing picture books for kids. However, when I first heard about this new release, I was skeptical. I assumed it would be along the lines of Amazon's cover creator, an in-browser way to make unprofessional looking ebooks. Surprisingly, it's not. 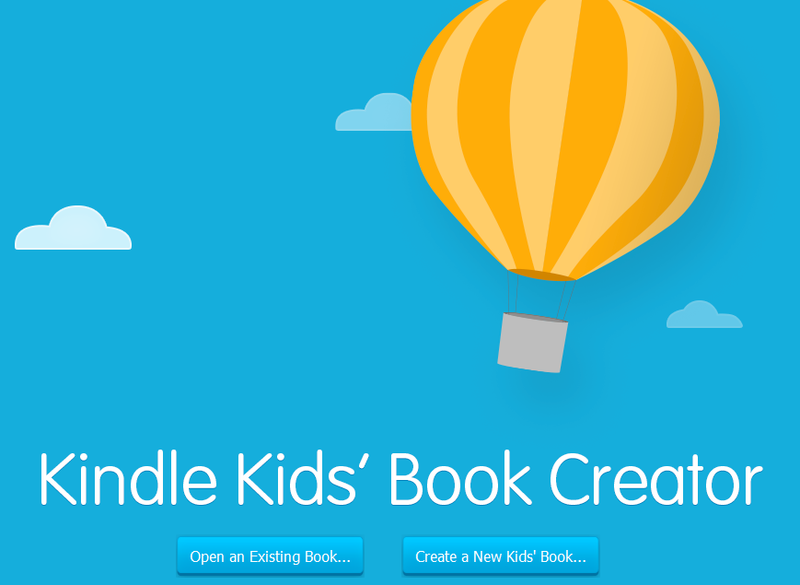 It's a downloadable program that is available for both PC and Mac and allows the user to create children's books specifically for Kindle and preview what they'll look like on the device. It's a pretty great idea, especially if you're participating in Kindle Direct and are only releasing on Amazon. I played around with it a little despite the fact I am in no way planning on publishing a picture book in the near future and, so far, it's an okay program. 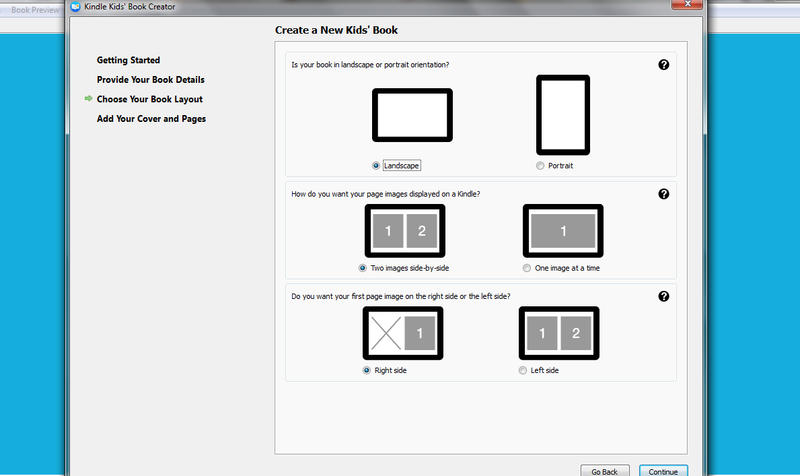 It seems like you can create your files in another program (such as InDesign) and import them into the Kids' Book Creator which will make sure the files are "Kindle Approved." 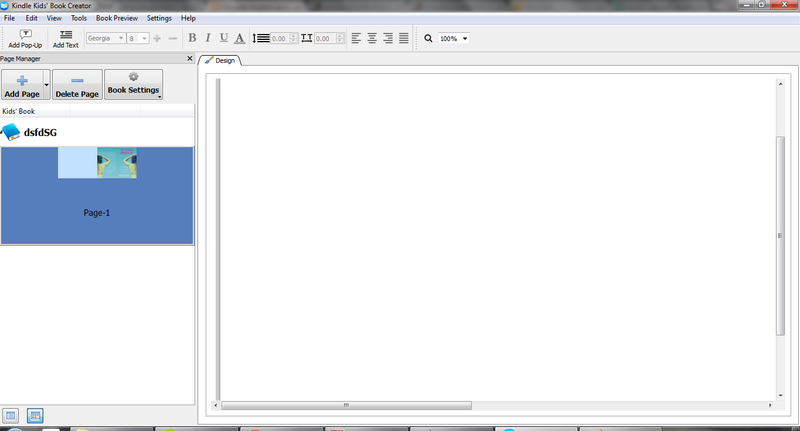 I'm curious to how it stacks against iAuthor though. I'll have to hop on my boyfriend's Mac and find out later. If you don't have InDesign, the program allows you to upload page by page as well, making it an alternative to those without Adobe skills, although I highly recommend learning InDesign and Photoshop for book covers. Are you planning on using this new Kindle tool?